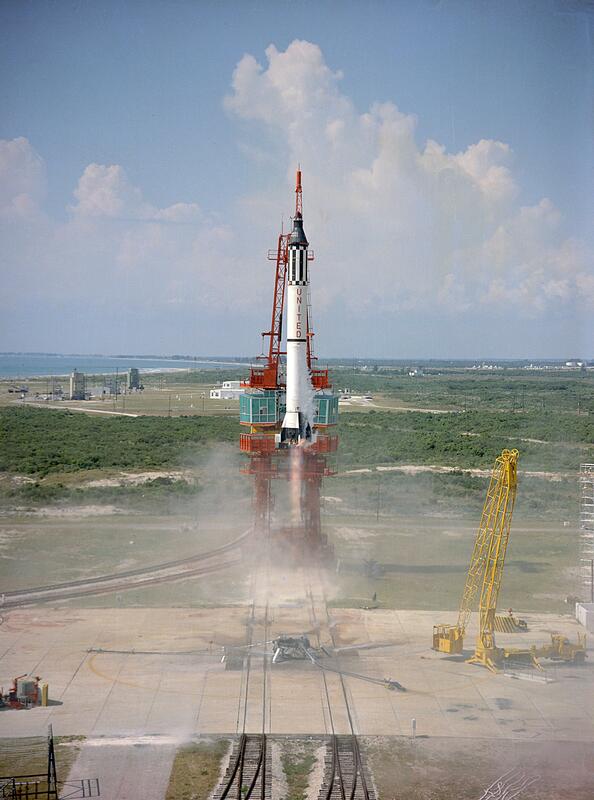 At 09:34:13.48 a.m., Eastern Standard Time, 5 May 1961, Mercury-Redstone 3 lifted off from Launch Complex 5 at the Cape Canaveral Air Force Station, Cape Canaveral, Florida. 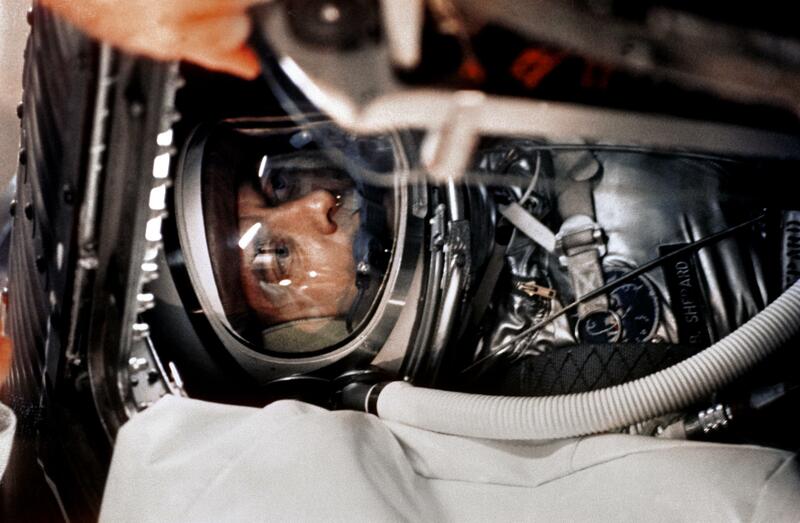 On board was a NASA Astronaut, Commander Alan Bartlett Shepard, Jr., United States Navy. 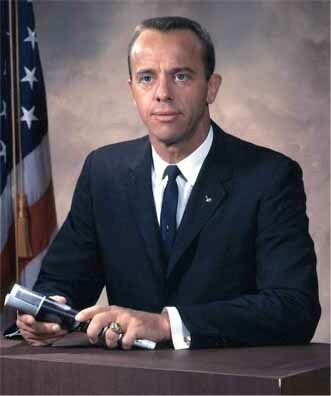 Shepard had named his spacecraft Freedom 7. This was the very first time that an American had been carried into space aboard a rocket and came 23 days after Soviet Union Cosmonaut Yuri Alekseyevich Gagarin had completed one orbit of the Earth. During the launch, acceleration reached 6.3 gs. The Redstone’s engine shut down at T+02:22, with the rocket having reached a velocity of 6,414 feet per second (1,955 meters per second). 10 seconds later, the Mercury spacecraft separated from the Redstone booster. The spacecraft’s maximum speed was 5,134 miles per hour (8,262.4 kilometers per hour). 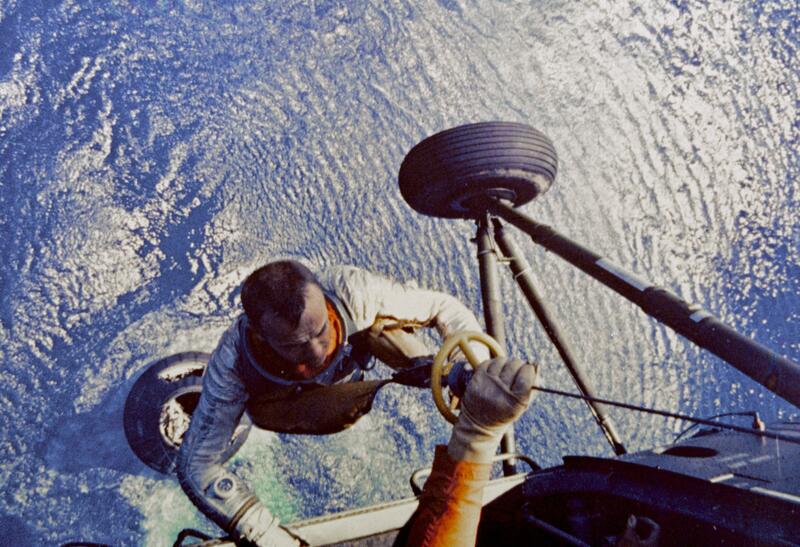 For the next 5 minutes, 4 seconds, Alan Shepard was “weightless.” Freedom 7 reached a peak altitude of 101.2 nautical miles (187.4 kilometers), 0.9 nautical miles (1.7 kilometers) higher than planned. Alan Shepard’s flight was suborbital. The rocket launched the capsule on a ballistic trajectory. Shepard experienced “weightlessness” for approximately 5 minutes. During the flight, Shepard demonstrated the use of manually controlled thrusters to orient the Mercury capsule in three axes. Freedom 7 began reentry to the atmosphere at T+07:38. Deceleration forces reached 11.0 gs. Shepard manually controlled the vehicle’s attitude, and once correctly oriented for reentry, reverted to automatic control. With the blunt (bottom) end of the spacecraft forward, aerodynamic drag slowed the capsule. A spherical-segment ablative Beryllium heat shield protected the space ship and its passenger. The total duration of Alan Shepard’s flight was 15 minutes, 28 seconds. All mission objectives were accomplished and no malfunctions occurred. 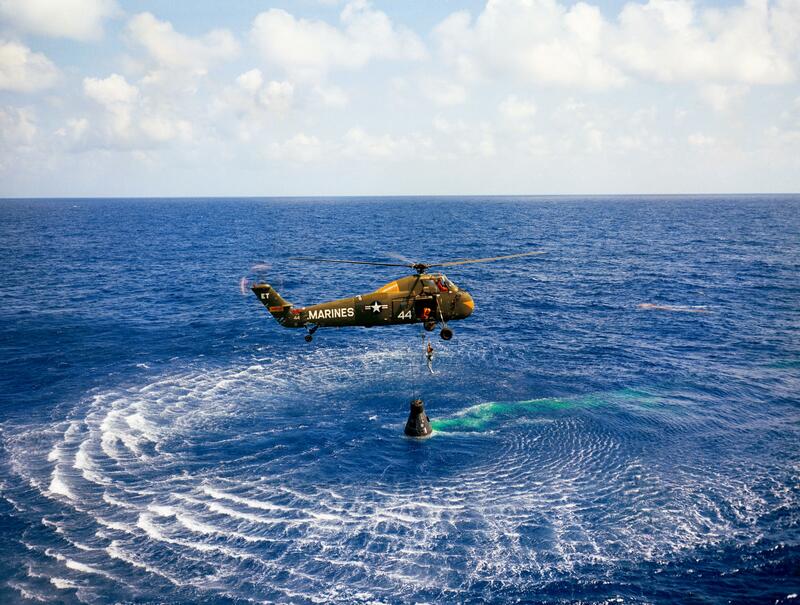 Eleven minutes after splash down, Commander Shepard was hoisted from the capsule to a hovering U.S. Marine Corps HUS-1 Sea Horse (Sikorsky S-58) helicopter of Marine Helicopter Transport Squadron (Light) 262 (HMR(L)-262).¹ The helicopter then lifted the Mercury capsule and flew to the nearby U.S. Navy Ticonderoga-class anti-submarine aircraft carrier, USS Lake Champlain (CVS-39). The Mercury capsule returned to Cape Canaveral for inspection and found to be in excellent condition. 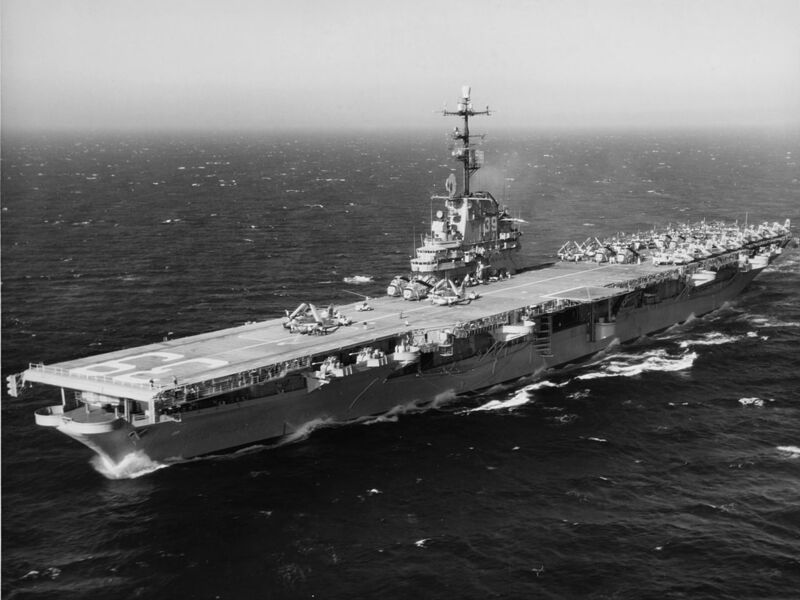 Freedom 7 was the seventh of twenty Mercury capsules built by McDonnell Aircraft Corporation at St. Louis, Missouri, which would also build the follow-on, two-place Gemini spacecraft. It was delivered to Cape Canaveral 9 December 1960. The space capsule was truncated cone with sides angled 20° from the longitudinal axis. It was 6 feet, 10 inches (2.083 meters) long and had a maximum diameter of 6 feet, 2.50 inches (1.892 meters). The total height of the spacecraft, from the tip of the aero spike to the booster adapter, was 26 feet, 1.26 inches (7.957 meters). At launch, Freedom 7 weighed 4,040.28 pounds (1,832.64 kilograms). During flight outside the atmosphere, the Mercury spacecraft could be controlled in its pitch, roll and yaw axes by hydrogen peroxide-fueled reaction control thrusters. Both manual and automatic attitude control were available. It could not accelerate or decelerate (except for reentry), so it could not change its orbit. The spacecraft cabin was pressurized to 5.5 psi (0.38 Bar) with 100% oxygen. The astronaut wore a B.F. Goodrich Mark IV Model 3 Type I full-pressure suit and flight helmet for protection in the event that cabin pressure was lost. 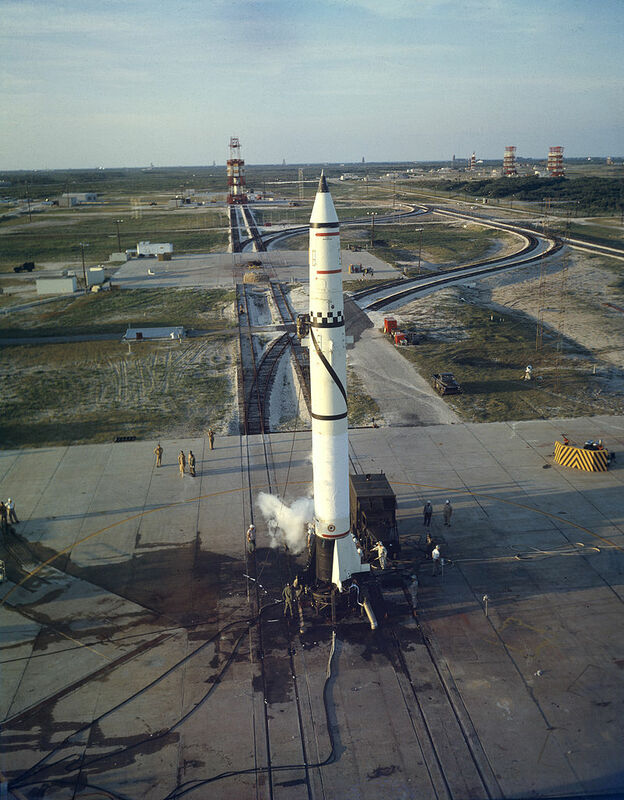 The Redstone MRLV rocket was a redesigned, “man rated” version of the Chrysler Corporation Missile Division-built United States Army M8 Redstone nuclear-armed medium range ballistic missile (MRBM). It was lengthened to provide greater fuel capacity, a pressurized instrumentation section was added, the control systems were simplified for greater reliability, and an inflight abort sensing system was installed. The rocket fuel was changed from hydrazine to ethyl alcohol. 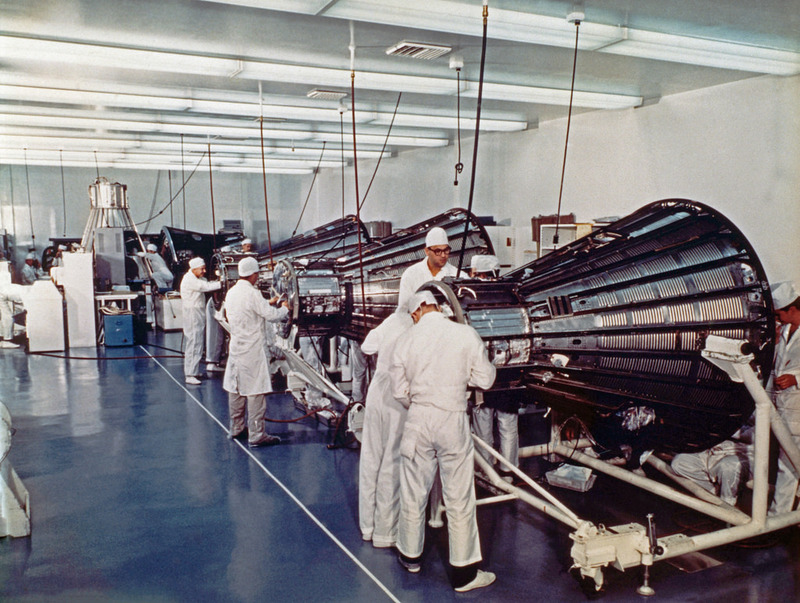 The Redstone MRLV was powered by a single liquid-fueled NAA 75-110-A7 rocket engine built by the Rocketdyne Division of North American Aviation, Inc., at Canoga Park, California. The A7 produced 78,000 pounds of thrust (346.96 kilonewtons) at Sea Level, and 89,000 pounds (395.89 kilonewtons) in vacuum, burning ethyl alcohol with liquid oxygen. The total vehicle height of Mercury-Redstone 3, including the booster, adapter, capsule and escape tower, was 83.38 feet (25.414 meters). The total vehicle launch weight was 65,987 pounds (29,931.2 kilograms). The flight of Freedom 7 was the first manned spaceflight in the 50-year history of the NASA program.¹ Alan Shepard would later command Apollo 14, the third successful manned lunar landing mission, in 1971. 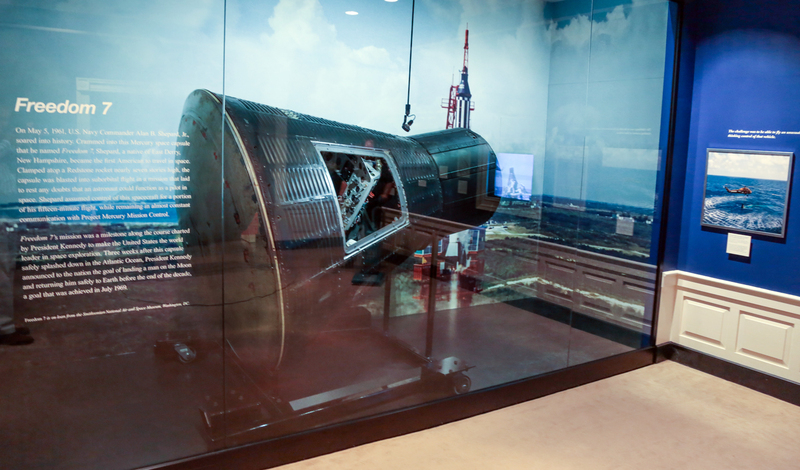 Alan Shepard’s Mercury spacecraft, Freedom 7, is on display at the John F. Kennedy Presidential Library and Museum, Boston, Massachusetts. Alan Shepard’s Freedom 7 on display at the John F. Kennedy Presidential Library and Museum, Boston, Massachusetts. ¹ Sikorsky HUS-1 Sea Horse, Bu. No. 148767, modex ET-44. Sikorsky serial number 581318. ² From the liftoff of Mercury-Redstone 3 until wheel stop of Space Shuttle Discovery (STS-135), the era of NASA’s Manned Spaceflight Programs lasted 50 years, 2 months, 15 days, 20 hours, 23 minutes, 41 seconds.